ALINKA , a.k.a., Alena Ratner, began her relationship with music in Kiev, Ukraine, where she was born and raised until the age of eight. She began studying piano and singing when she was four, and continued her musical studies throughout her childhood. In 1988, Alena’s family moved to Chicago, which eventually led her to the most significant musical influence on her life—the underground dance tracks that were being played on Chicago’s radio waves in the 1990s. She purchased her first pair of turntables in 2000 and began to obsessively collect vinyl and hone her DJ skills. 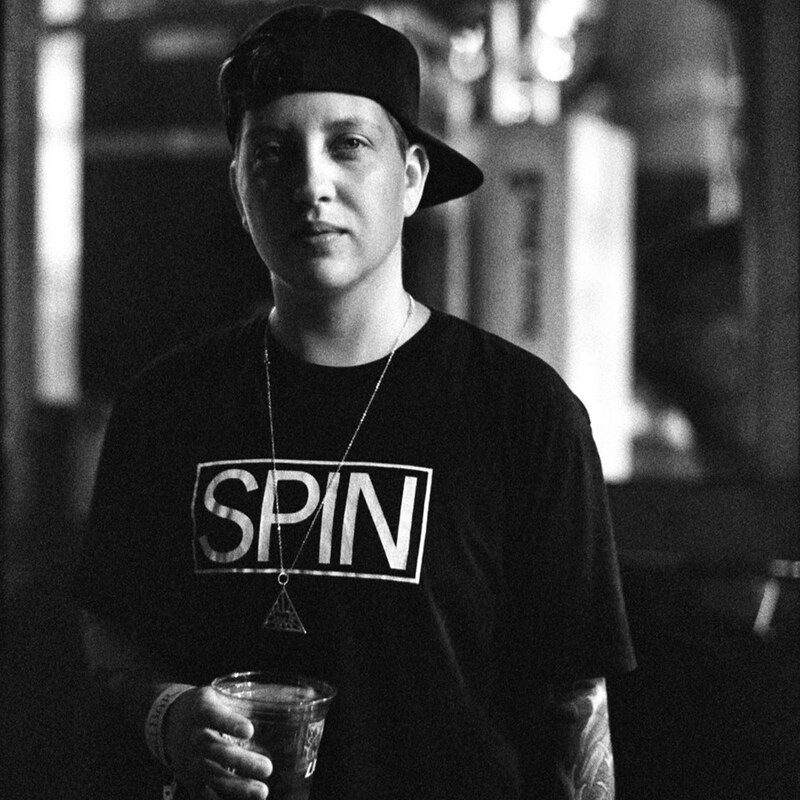 Within months she scored her first residency at famed Champaign nightclub, Orchid and soon began spinning regularly at various local clubs in Chicago. In 2001 she landed the coveted opening resident spot at Justin Long’s reknowned .Dotbleep night at Smart Bar, and she has continued to play at Smart Bar ever since. In 2003 Alena ventured into the production side of electronic music and released her first track on Igloo Recordings. Since then she has released a multitude of tracks and remixes on labels such as Greenhouse, D’Lectable and Smart Bar’s Area DJ Records. In 2004 she began touring globally and played gigs throughout the U.K., and Europe. 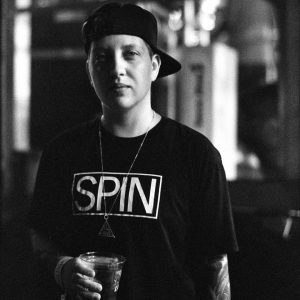 Over the course of her 13-year career, Alena has played with Jesse Rose, Claude Von Stroke, Derrick Carter, Justin Long, DJ Heather, Derrick May, Greenskeepers, and countless other dance music icons. In 2010 Alena teamed up with Elysia Hang-Fu and formed the musical duo Shuteye. In May 2012 Shuteye won the Monster Diesel VEKTR Headphones Contest, for which their song “Hearts And Stones” was converted to a 3D track through GenAudio´s spatial 3D technology process. The track was then featured in displays around the world, including everywhere that headphones are sold, and on MonsterCable.com and Diesel.com. In addition, Shuteye was voted Runner Up for “Best New Band” in the Chicago Reader’s “Best of Chicago 2012” and their music was also featured on Tello Films web-series “The Throwaways,” and CW series “The Selection.” In 2012 Shuteye participated in a DayTrotter session, played with such artists as Ladyhawke and was featured on the RedBullUSA.com homepage. When Alena wasn’t performing with musical partner Elysia Hang-Fu as Shuteye, she squeezed in DJ gigs alongside the likes of Toro Y Moi, Kim Ann Foxman and JD Samson. She also served as the live opening DJ for Crystal Castles at Chicago’s fabled Congress Theater, as well as for provocative electro-punk songstress Peaches at Smart Bar. In January 2013 Alena teamed up with Miguel Martin of EchoDroids, Greg Corner of Kill Hannah, and Bill Holland of Many Moons to perform the music of electronica icons Kraftwerk, at a benefit for the Pablove Foundation featuring Sons of the Silent Age, Waco Brothers and Death on the Autobahn. The four musicians dressed the part and brought Kraftwerk to life, opening up for a spot-on David Bowie tribute show, performed by Chris Connelly of Ministry, Shirley Manson of Garbage, and Matt Walker of Morrissey, at Chicago institution, Metro. In 2012 Alena met and instantly connected with Shaun J. Wright, whose rich, resonant voice has given soul to music by Hercules and Love Affair, Stereogamous, Kiki, to name a few. Alena and Shaun bonded over their love of Chicago music, and it wasn’t long before their budding friendship resulted in what would be the first of many musical collaborations: the EP “Twirl Vol.1,” which was promptly signed to Derrick Carter’s and Luke Solomon’s lauded house label, Classic Music Co. The instant success of their first endeavor was a clear indication to Alena and Shaun that they shared a musical synergy that needed to be explored and unleashed. The pair is currently collaborating on several different projects, including remixes for Hi Fashion, Stereogamous, JD Samson & MEN, and Baby Alpaca for JD Samson’s record label Atlas Chair. When she’s not pumping out remixes, warming up packed venues for major acts, and dressing up like Kraftwerk, Alena still manages to find the time to indulge in her original, best-loved sin—spinning records and getting crowds moving on the dance floor. She is currently a resident at Chicago’s newest, most hopping monthly party, NU: The Outer Space Disco Dancing Society of Chicago, along with fellow local talents Chris Grant, John Mork, and Miguel Martin. The night, which happens at Neo on the first Friday of every month, has enjoyed monumental success since its kickoff in January. In addition, Alena is also behind another new, ongoing Chicago party series, called Twirl—for which she once again teamed up with Shaun Wright—and regularly releases Twirl Mixtapes online as part of the promotion for night. 2013 kicked off with Alinka being named the “Best Dance Producer” in the Chicago Reader’s “Best of Chicago 2013” poll. Alena’s future plans are to concentrate on her production endeavors and DJ sets. Her focus will be on doing solo work under her moniker Alinka, and her collaborations with Shaun J. Wright as well as other artists. Alinka I got into dance music in the 90’s from growing up listening to the radio in Chicago but got more involved when I went away to college in Champaign IL. and started going to raves and clubs in Chicago. I kind of just fell in love with the music and once I tried getting on the decks I was hooked. Alinka Tough call, but so far my favorite memories are from playing Manchester, NYC, and Chicago. Apart What’s one city or club that you haven’t DJ’ed at yet, that you really want to? Alinka Ahhhh there’s so many! If I had to pick a city I would say Tokyo, I’ve always really wanted to play in Japan! Alinka Lots of bands! Anyone from Joy Division to Gorillaz. Currently a lot of Austra, Little Dragon, and Disclosure. Alinka Nobody would ever guess that I watch The Voice and cry like a baby every episode. Adult problems.